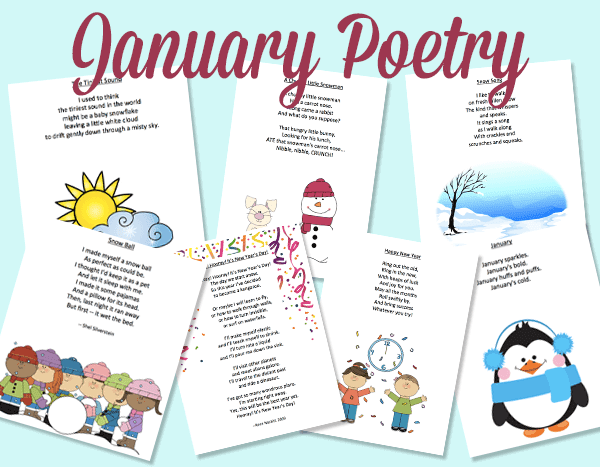 I have a collection of 7 fabulous January poems for your primary classroom. Just so you know, I didn't write any of the poems. I just found them and added some cute clipart so they're ready to print and use in your classroom. I couldn't find the authors of five of the poems but the other two were written by Kenn Nesbitt and Shel Silverstein. The pdf file includes 7 poems, each in colour and black/white (or grey tone). 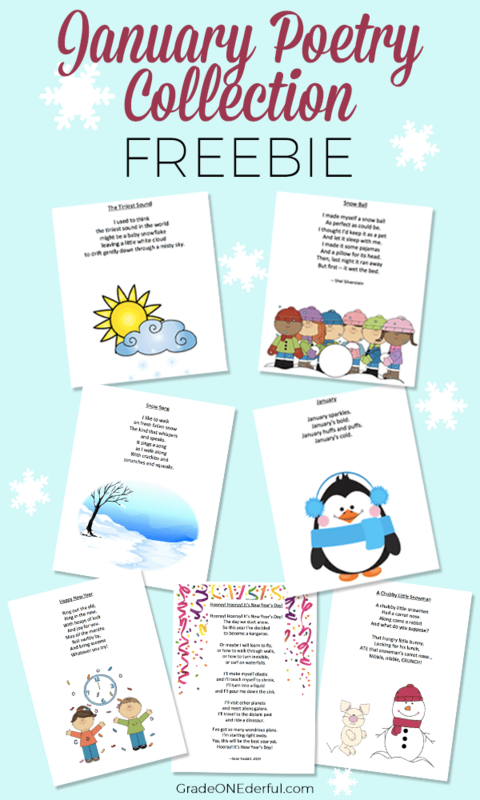 These winter poems are perfect for your primary classroom and your kids will enjoy colouring in the pictures and adding their own extra details.